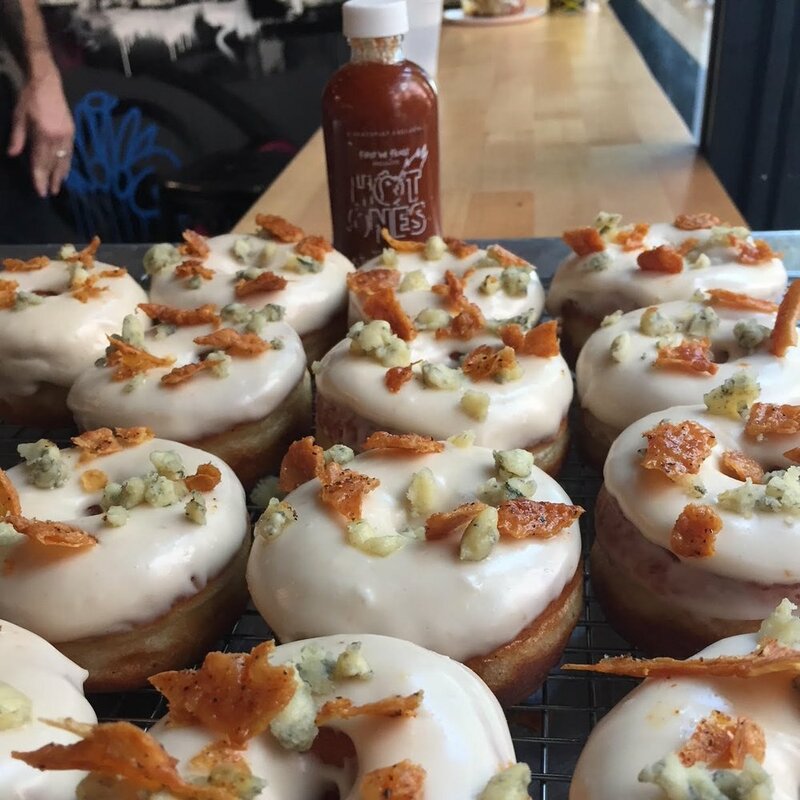 We're all about creating innovative doughnuts inspired by our favorite food & cocktails, always looking to work with creative minds in food, marketing, and business. Over our first two years in business, we've been fortunate to work with some of NYC's best restaurants and bars for our Restaurant Series and Cocktail series. We've also collaborated with top brands including Adidas, Campari, Crayola, and many more. With our growing social presence we are able to bring traction and awareness to a new product, event or a nationally celebrated day. If you're interested in working with us on a custom branding event, or would like to us to create a customized doughnut using your product, please contact us at info@thedoughnutproject.com.